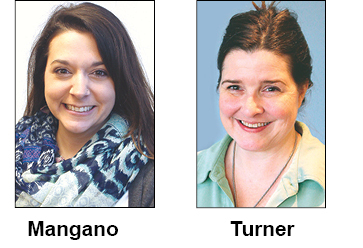 Two of Oklahoma’s districts — Council Oak and Heartland — have new district administrators. In the Heartland District, Karen Mangano is greeting visitors in the office located at 631 N Broadway in Moore. Within the Heartland’s boundaries are the churches mostly south of Interstate 40 and in the central part of the state. Mangano is a familiar face to many, as she had been serving as volunteer management coordinator for the Oklahoma United Methodist Church Disaster Response ministry, also based in Moore. A native of Pennsylvania, she began attending Moore-First UMC after she moved to Oklahoma. The 2013 Moore tornado led to a life-changing decision for her. "I made a decision immediately after the storm had passed that we should volunteer to help," she said. "Little did I know that God had a hand even in the chaos of that day." She met Sarah Nichols, who was the first manager hired by the Conference’s disaster response officials to coordinate the teams of volunteers helping with recovery after those tornadoes. Soon she joined Nichols on the disaster response staff. She initially served as director of case management, then coordinator of volunteers as recovery needs evolved. "Now that I’m moving to a District Administrator’s job, I can see how God has been leading me all this time and teaching me the skills that I needed to do the work that is now before me," Mangano said. In the Council Oak District — serving the churches in Tulsa and surrounding that city — new District Administrator Stacie Turner returns to a familiar role. She formerly worked in the post for the Wichitas District, with an office in Lawton. Then her husband’s work was transferred from Lawton to Broken Arrow, and the family moved. She has been hired to fill the District Administrator spot held by Tee Higgins, who retired Feb. 1. "It just worked out," Turner said. It’s a job that suits her. "I love being able to help keep things straight in the district, help churches try to grow." She sees definite contrasts between the districts. Compared with the Wichitas, Council Oak has "a lot less area to cover. There are a lot more pastors and a lot more extension ministries." Turner, who grew up in Broken Arrow, also said she is happy to be living close to her mother now.